Made in Normandy, Le Rustique Camembert’s pronounced flavour contains all the richness of its birthplace and the expertise of the Master Cheesemakers - a cheese with character. Le Rustique Camembert was first made in 1975 in Normandy. Its unique recipe is inspired by the original Norman Camemberts: full of flavour, with a rich, creamy texture. To ensure optimum ripening, it is stored in its wooden, pyrograved box, which has now become a symbol of the brand, as has the red and white chequered cloth. It is said that it was a paper merchant with an excess stock of red and white chequered napkins, who came up with the idea of using them to present Le Rustique Camembert. Ever since, the chequered cloth has become one of the recognisable symbols of the brand in France and worldwide. 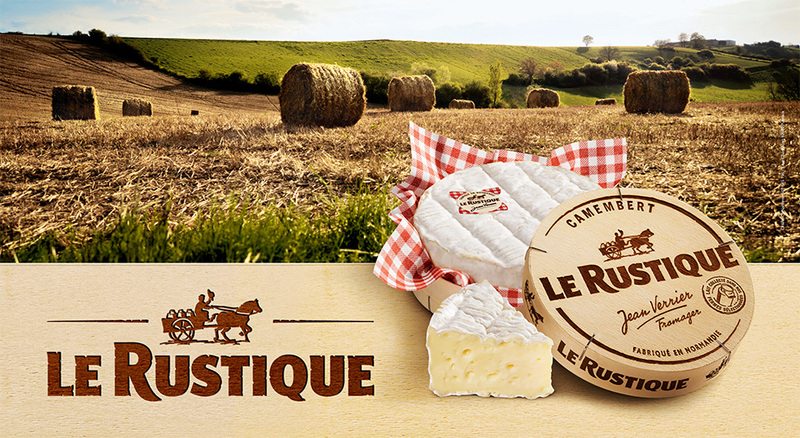 Almost 40 years later, the Le Rustique brand has been broadened to include a range of products recognisable for their traditional-looking packaging, both in France and further afield: Camemberts, Coulommiers, Le Rustique light, etc. Responsive to the rhythm of the seasons, complementary products are Le Rustique made with spring milk and Le Rustique with Périgord black truffle at year end. 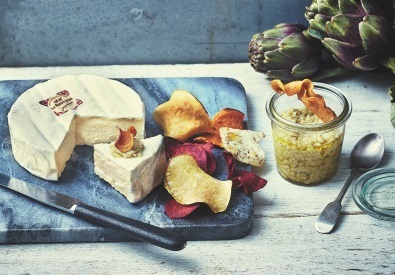 This Norman product can also add pleasure to pleasure: following the Spécial Affiné ripened version launched in 2016, for the 2.5 million lovers of “coulant” camembert, Le Rustique has announced a Grand Caractère longer-matured version for 2017. All the milk used to produce Le Rustique Camembert comes from Normandy. The brand monitors every product closely, from the origin of the milk to the final point of sale. Number 1 of premium Camembert in France. Number 1 French Camembert in Germany, the UK and the Netherlands. The Le Rustique brand is sold in over 50 countries. A small but plump round cheese, decorated with wheat ears in relief; a tender texture and a fruity flavour… A unique sunshine-packed taste that makes Fol Epi a delicious and very attractive pressed cheese with holes.